Do you feel its time you treated yourself to a lazy pamper day ? Well, MallorcanTonic has something truly special in store for you, an exclusive Spa day with lunch at Hotel Glória de Sant Jaume. With it´s enviable location in the heart of the old town of Palma within a stroll of all of the sightseeing attractions, Hotel Glória is offering you a wonderful day of relaxation. 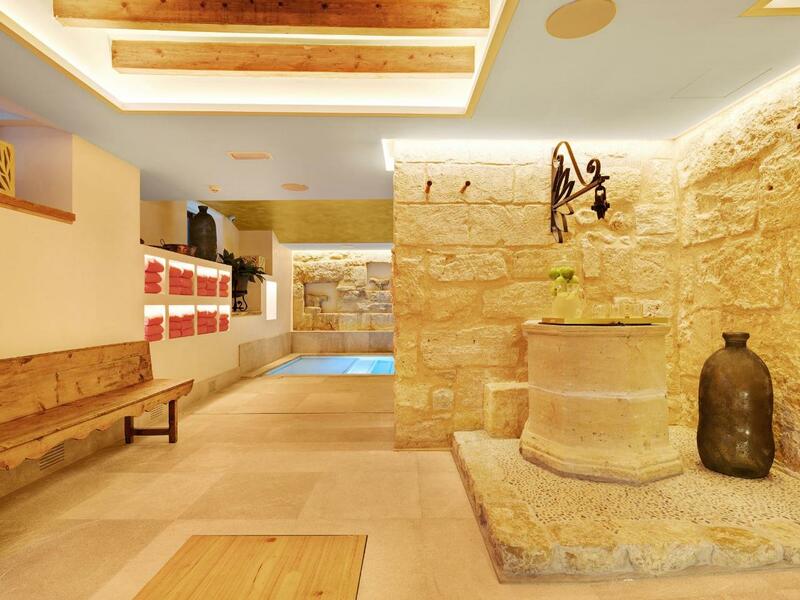 There is no other wellness centre and spa quite like it in Palma. Imaginatively built in the vaulted ‘cave’ in the lower ground floor to create a unique relaxing environment beneath the footsteps of the old city, you can swim in the heated pool and look up to daylight streaming through the atrium above. 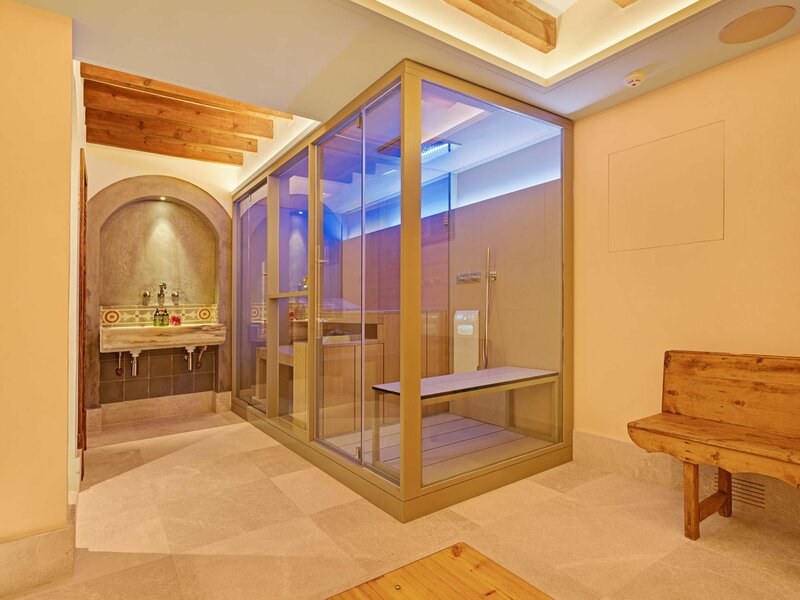 The sauna, built with walls of glass creates a spacious experience and the treament room, which was formerly the stable, has tastefully retained original details like the uneven floor and the horse ties. To enjoy the full Spa Day with Lunch experience, why not arrive early and visit the sauna, or take a dip in the pool and start to feel yourself slowly unwind. Then enjoy your 60 minute massage with an experienced therapist and, after your treatment, enjoy some time in the relaxation room with a refreshment. When you feel like you are truly relaxed, then it is time to think about lunch. You will be served lunch at El Patio de Gloria Restaurant, with is sumptuous decor, opening out to a shady inner courtyard for warmer days. 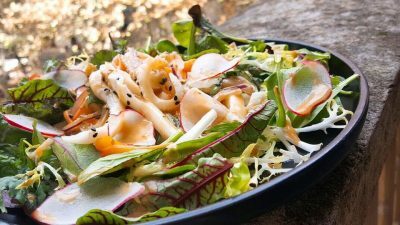 As part of your ´Glorious spa experience ` day, you will enjoy a three course lunch menu which celebrates Mediterranean cuisine. (Drinks extra). 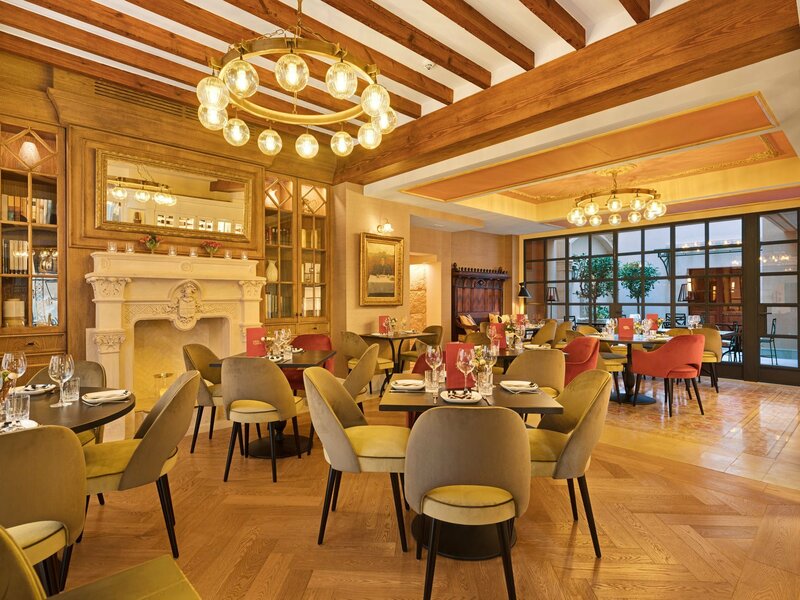 € 75 for spa access and lunch. €115 for spa access, lunch and a 60 minute relaxing massage. 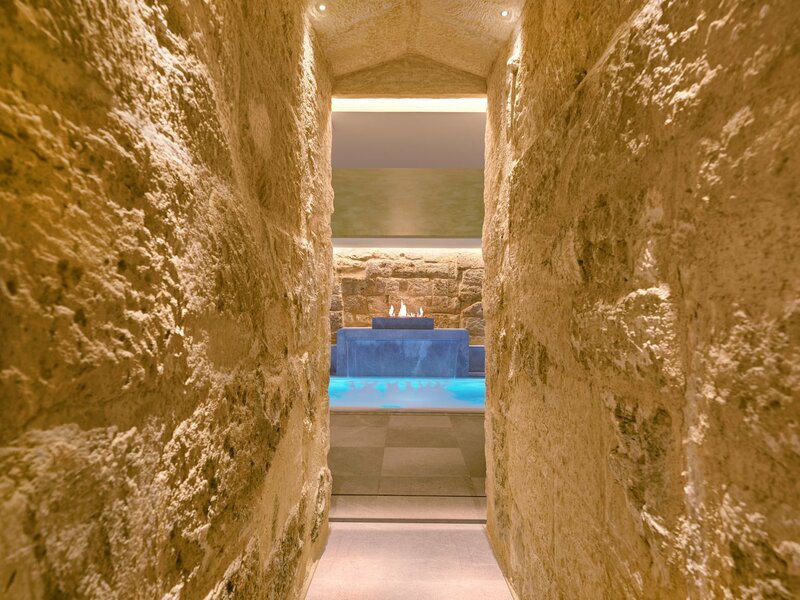 €135 for spa access, lunch and an Aromatherapy massage.